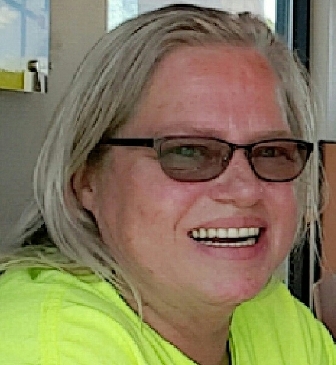 Ms. Sherry L. Noling, age 58, of Rt. 353, Salamanca, NY died early Friday, December 16, 2016 at Buffalo General Hospital, Buffalo, NY following a short illness. Born on January 31, 1958 in Jamestown, NY she was the daughter of the late Bea Swan who predeceased her last July. Ms. Noling had been employed at the Holiday Inn Express in Salamanca, NY for over 5 years. Her biggest joy was spending time with family She enjoyed the great outdoors, taking care of her dogs and cats, as well as gardening and lawn work. Surviving are: a daughter, Rachel Noling, Salamanca, NY; a sister, Ruth Ann Zink, Salamanca, NY; 2 brothers, Ted Chesnut, Salamanca, NY, Randy Chesnut, Ft. Lauderdale, FL; several nieces and nephews. Funeral services are under the direction of the O’Rourke & O’Rourke Inc. Funeral Home, 25 River Street, Salamanca, NY. In lieu of flowers, the family suggests memorials to the S.P.C.A., 2944 Route 16, Olean, NY 14760 or U.S. National Park Services www.nps/getinvolved/donate@htm.com.